The former UFC light heavyweight champ has been hitting the gym hard, and his physique shows it. Jon Jones has become a dedicated powerlifter over the past seven months, and there's proof: an impressive transformation. He posted a slender looking photo of himself from two years ago next to a ripped physique, writing, "Started powerlifting June 1, 2015. In just about seven months of training four days a week, my body has made a complete transformation... Off season 2013 vs. off season 2015." The ripped physique raises questions about whether or not he'll soon move up to heavyweight. The reason: the UFC recently reinstated Jones after a conditional release and almost 18 months of probation after pleading guilty to leaving the scene of an accident. 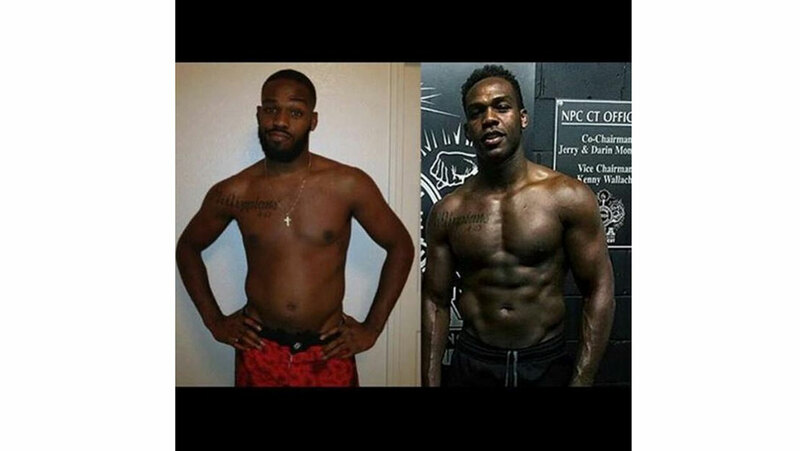 Jones also hints in his Instagram post about a possible upcoming fight -- UFC 198 -- on April 23rd, which is rumored to be a rematch against current UFC light-heavyweight champion, Daniel Cormier. After Jones was stripped of his title and suspended from the UFC, Cormier went on to win the vacant belt when he defeated Anthony Johnson at UFC 187 on May 23. Cormier is now the current title holder. Catch Jones pouring his energy into the gym, using #BelieveInTheProcess. The former UFC light-heavyweight is also a friend and teammate of Holly Holm at Team Jackson-Winkeljohn in Albuquerque, New Mexico.